suffer severe stress, and ultimately end up dying a slow and torturous death. 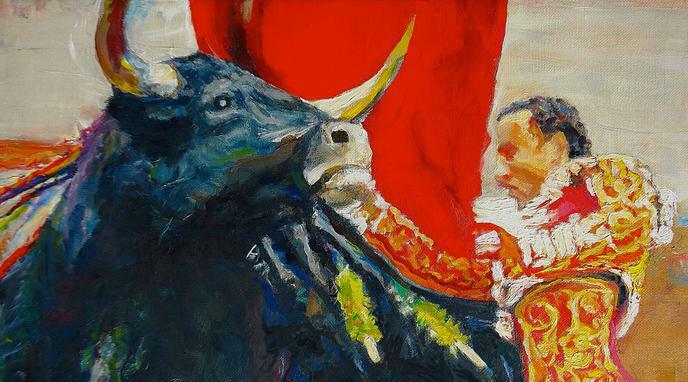 variations of traditional bullfighting, such as bullruns where killing the bull is not the main goal, cause severe pain and stress to the animal. Inflicting needless violence and barbarism and eventually death on a sentient being is immoral. Culture, tradition, and economic benefits should take a back seat to ethics. during the pre-fight treatment, which tortures the bull for days before the fight in order to weaken it. three different stages. During this time, the bull loses a significant amount of blood and energy, and gets to the last stage exhausted.